Praha Masarykovo nádraží (Prague Masaryk Railway Station) at night. October 2013. It was the first railway station in the city to serve steam trains, designed by Antonín Jüngling in 1845, and the second oldest railway station in Prague, Czech Republic. It is a terminal type railway station located in the New Town area of Prague, near Republic Square (Náměstí Republiky). Nowadays the Masaryk Railway Station only serves regional and suburban trains, due to the larger Prague Main Station (Praha hlavní nádraží) not having enough capacity. 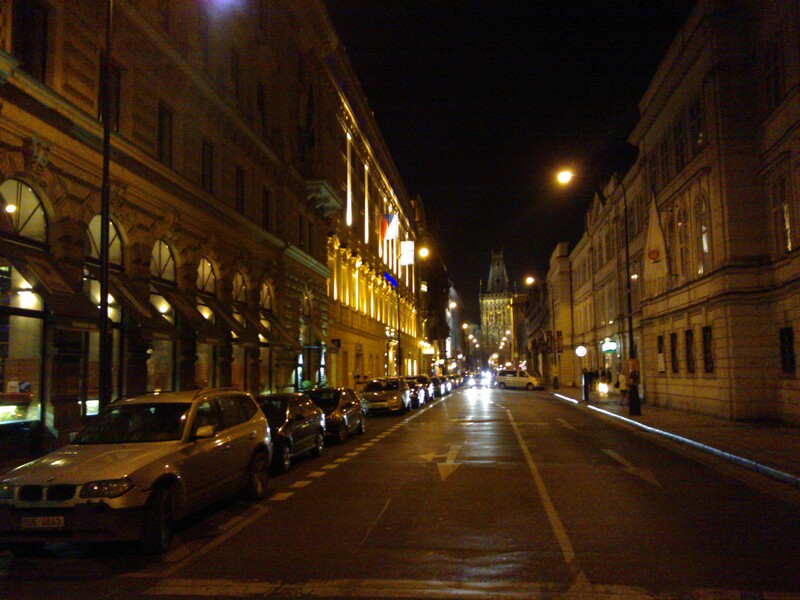 One of the adjacent streets to Masaryk Railway Station, Hybernská, with the view to Powder Tower (Prašná Brána) to illustrate how centrally the station is located. This entry was posted in Architecture and tagged Masaryk, Masarykovo, nádraží, Prague, Praha, railway, railway station, steam trains. Bookmark the permalink.